We trained hard and raced harder in 2013. And we had a lot of laughs along the way!!!! When Kieran arrived in the summer, it was obvious that he had talent, but he appeared to be a long term project, given his spotty training in the previous year when he was living in Cairo. 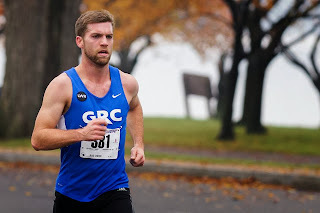 Despite an arduous work schedule that included working the night shift for an extended period, Kieran ran 1:06:49 on the difficult course at the Wilson Bridge Half Marathon, the second fastest time in team history. He followed that up by placing 46th at the USATF Club Cross Country Championships the highest finish ever by a GRC athlete, male or female, in his first cross country race since high school. LDO's first full year with GRC was one for the record books, as she set new records for 10k and 10 miles, running the outstanding times of 34:38 at Pikes Peak, and 57:47 at Broad Street. 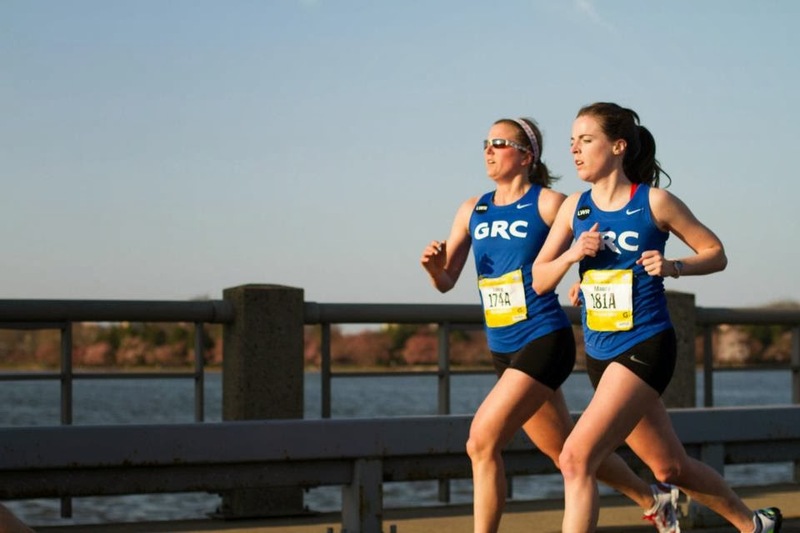 Lindsay also ran the third fastest time in GRC history for 8k with her 28:43 at St. Patty's Day, and the 4th fastest half marathon time with her 1:18:53 at Wilson Bridge. 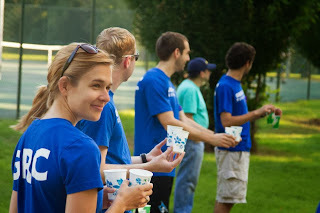 In 2013, she also assumed a leadership role off the track, serving as race director for Lauren's Run, and agreeing to serve on the team board in 2014. Oregon Paul PRed at every distance from 5k to 10 miles. Heran 15:22 for 5,000 on the track at Maryland, 25:32 for 8k at St Patty's Day, 31:55 for 10k at Veterans Day, where he finished second, and 51:58 for 10 miles at Army. 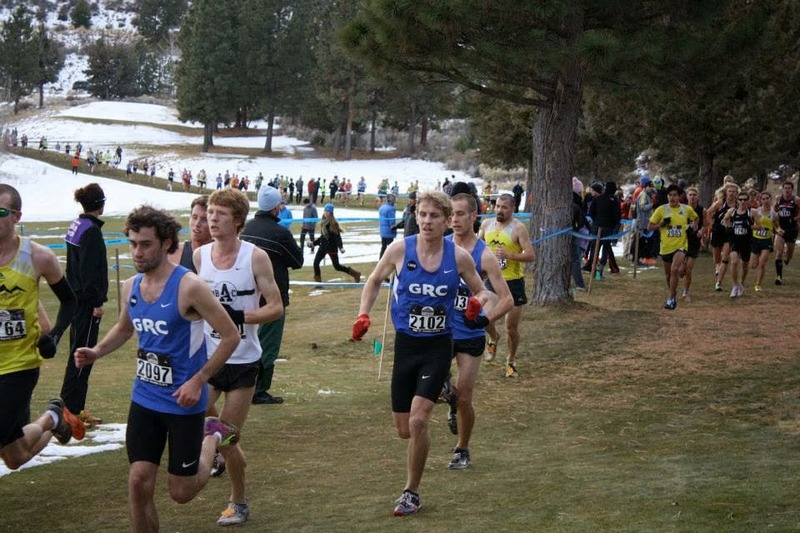 Paul capped off his year by placing sixth for GRC at USATF Clubs Cross Country, in front of his adoring home state fans. Paul is just beginning to tap into his talent, and he will be an A team stalwart for years to come. Her relaxed few years of running changed when she joined the team in January. 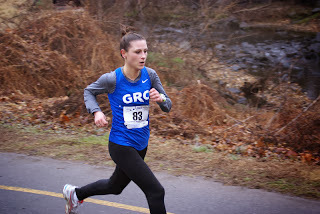 In less than four months of training, she ran 1:22:04 at the National Half Marathon, an eight-minute PR, and 2:52:50 at Boston, the fourth fastest time in GRC history, and an astounding 17 minute PR. In the fall, Julie ran 1:01:02 at Army 10, a PR of more than three minutes. 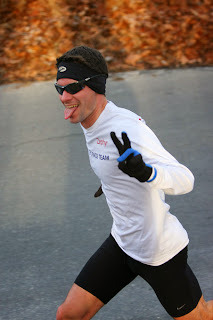 Dangerous Dave continued his transition from hobby jogger to elite athlete by running major PRs at several distances. Dave's goal for the spring was to break 15:20 for 5k on the track, which was ambitious indeed given that at 37 years old, Dave would be competing against athletes literally half his age, and that going into the season he had run less then five track races in his life. 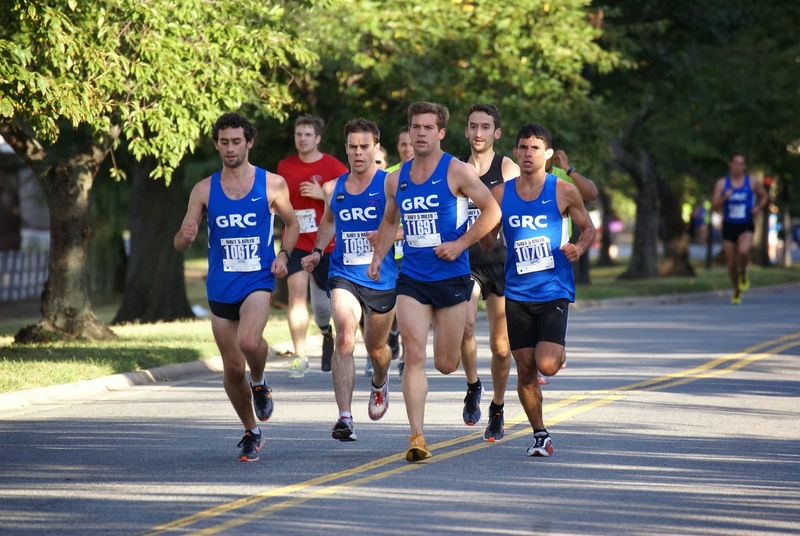 Despite the long odds, Dave exceeded his goal, running 15:16 at Swarthmore. 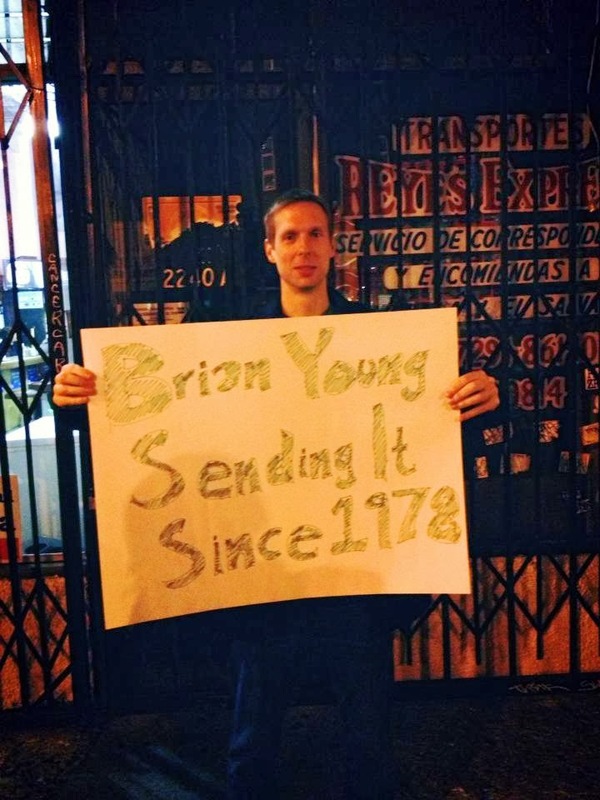 His plan for the fall was to peak for the USATF 12k on Nov. 17. 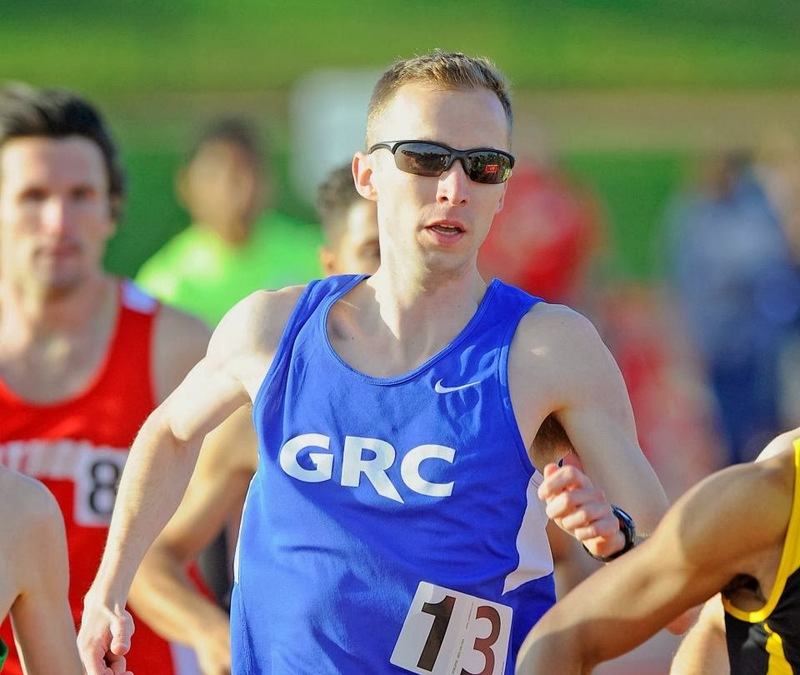 In August, Dave committed to serve as a guide for elite visually-impaired athlete Aaron Scheidies at the Wilson Bridge Half, which was scheduled for October 6. 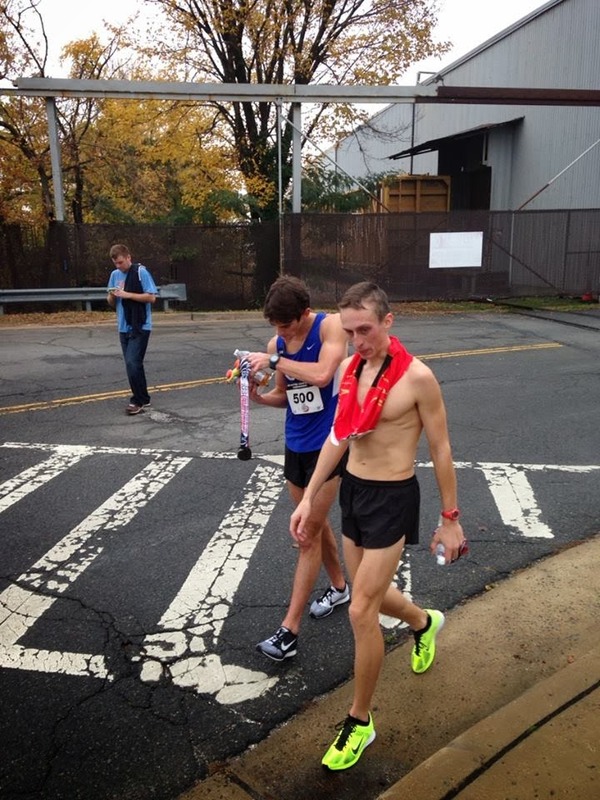 When the race was postponed until November 10th due to the government shutdown, Dave kept his commitment to guide Aaron, knowing that by doing so he would sacrifice the centerpiece of his fall season because he could not run the 12k a week after a hard half marathon. 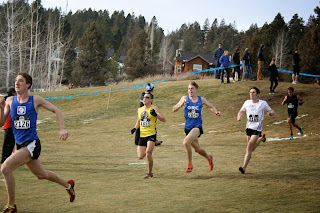 But Dave made the most of the situation, guiding Aaron to a huge PR of 1:16:26, and a month later running perhaps the best performance of his career with his 25:39 at the Jingle Bell 8k. Dave's remarkable development despite his lack of background in the sport, willingness to confront new challenges, and selfless service to others truly exemplifies Lauren's enduring spirit. Chris Bain finished third at the Rock ‘n’ Roll Arizona Marathon, with Breezy picking up a 12-second PR. 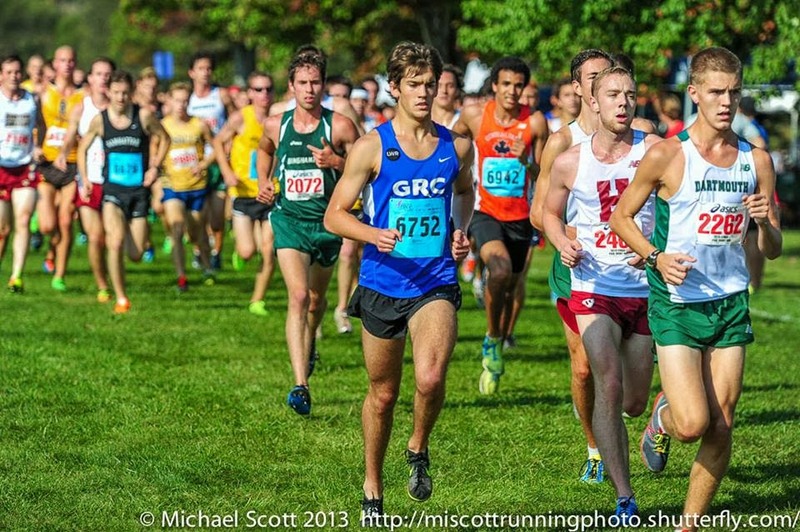 In the half, Drea led the women with a sixth place finish and Sam led the men in eighth. 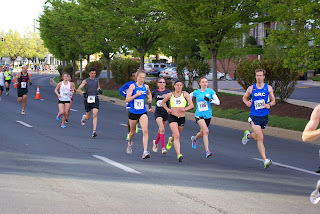 In Richmond, Outlaw frosted the competition to with the Snowflake 15k. While running the Langley 8k in McLean, Charlie did a mental coin flip when he gets to an unmarked intersection and he picked wrong. Most of the field followed him and added 2k to the course. Nice play, Shakespeare. He thanked his lucky stars the race was free for most runners and it was so cold nobody wanted to hang around and tear him to shreds. 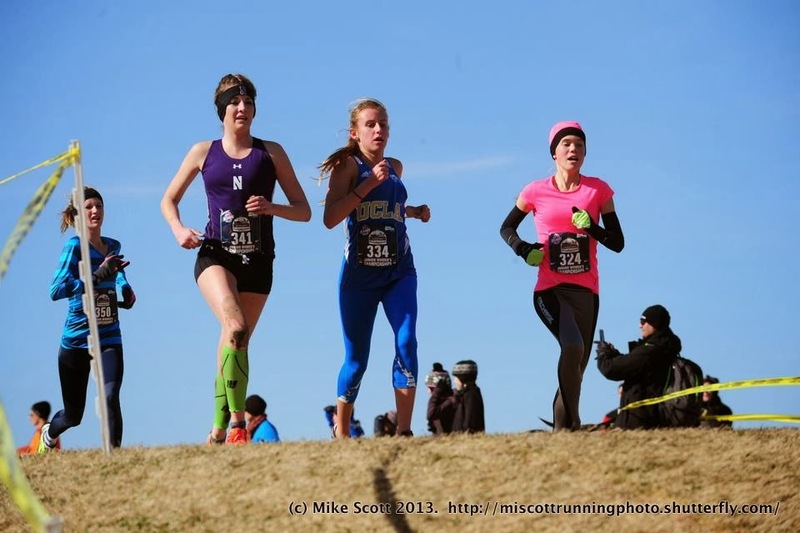 Meghan Lockett ran a strong race against many college freshmen at the USA Cross Country Championships in St. Louis. 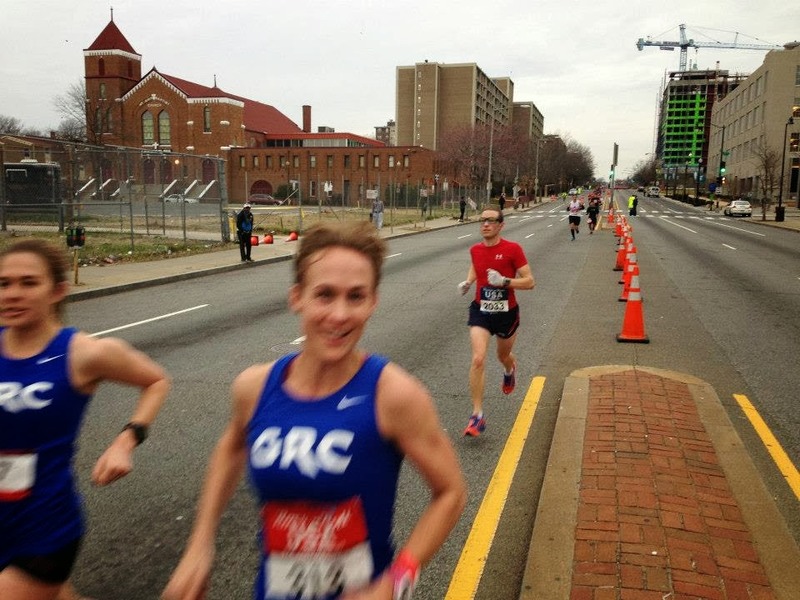 Kerry Allen debuted for GRC with a PR in the half and 10 en route in Birmingham, Ala. The Have a Heart for Boston-Hoffman Elementary School 5k continued to serve as a scrimmage for the team, with men sweeping the top five spots and notching seventh and five women finishing in the top six, attracting a long-term recruit in the process. Chatty Cathy and Viking lead the way. For the first time in his life, Wiggy’s heart was truly broken when he didn’t get a big check for winning the Country Roads Five Mile in Olney. Meghan finished third in the 3k at the New Balance Indoor Championships. 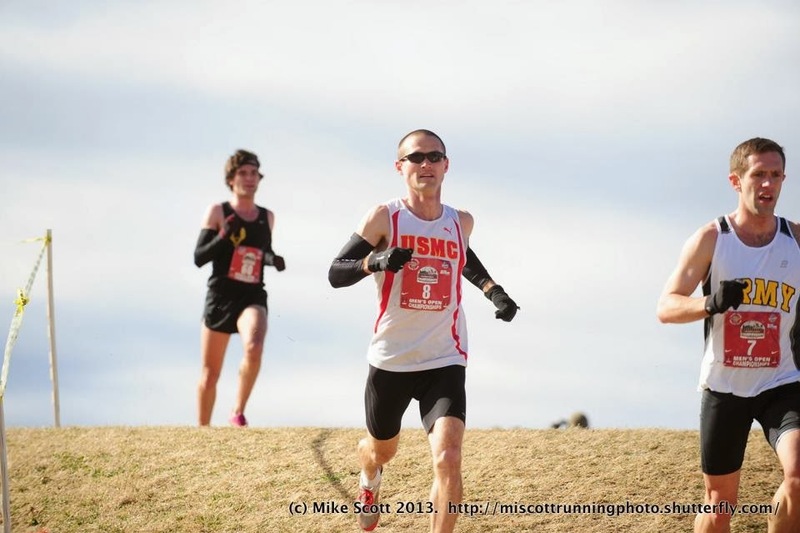 Sean Barrett represented the Armed Forces team at the World Military Cross Country Championships in Serbia, where he finished 40th, in the third place for the U.S. men's team. Sam and Oregon Paul led the men and LDO and Cathy pace the women at the St. Patrick’s Day 8k. Look, everyone, it's Sebi. Wiggy continued his spring reign of terror, winning the Shamrock 5k in Baltimore and following in Sam (2011) and Jake’s (2009) footsteps. 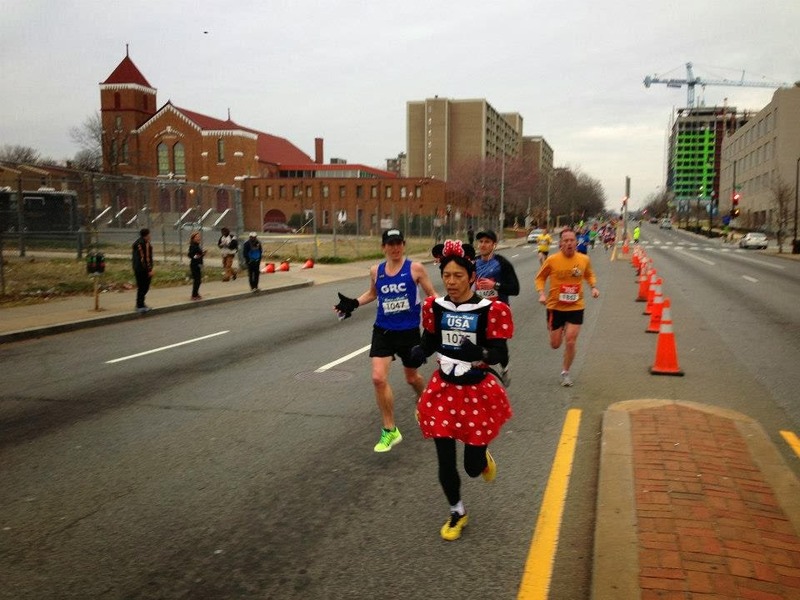 Teal and Julie’s big PRs at the Rock ‘n’ Roll USA Half Marathon made the big news, but on the less-attended half of the full marathon course, Scott Koonce humanely dealt with a mouse infestation. 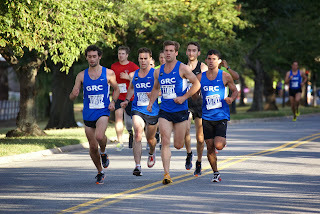 The GRC team at the Van Metre race continued to grow and dominate, with the top seven men and top four women. The Viking continued to plunder, including some door prizes, and LDO ran a strong race to win the women’s competition. 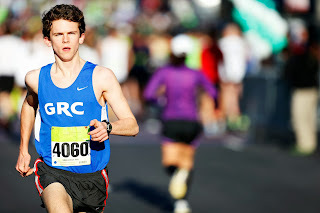 Sam Luff won the MCRRC Runner of the Year award, once again forcing Chicken Tender to collect another bridesmaid’s dress he’ll never wear again. Sam then rested on his laurels for the rest of the year. Jimmy Daly laced up his flats for the first time in 15 months at the Scope it Out! 5k. Hilary broke 17, running 16:56 and setting the team record in the 5k. For the first time in his life, Wiggy’s heart was truly broken when he found himself racing outside of Maryland, also in the 5k. 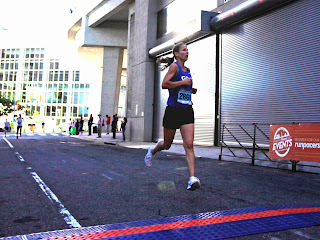 Right on the heels of Teal’s PR, Julie breaks hers by 18 minutes at Boston, running 2:52:50. It’s, like, a special race for her or something. Stefan leads the men in 2:34:01. Maura made her long distance debut at Cherry Blossom. Viking did well enough that he dropped the mic and moved back to upstate New York. Big City improved on his team record 800 with a 1:53.85 at Shippensburg. The swift downhill course and a stiff tailwind propelled 10 GRC runners to PRs at the Pikes Peek 10k. 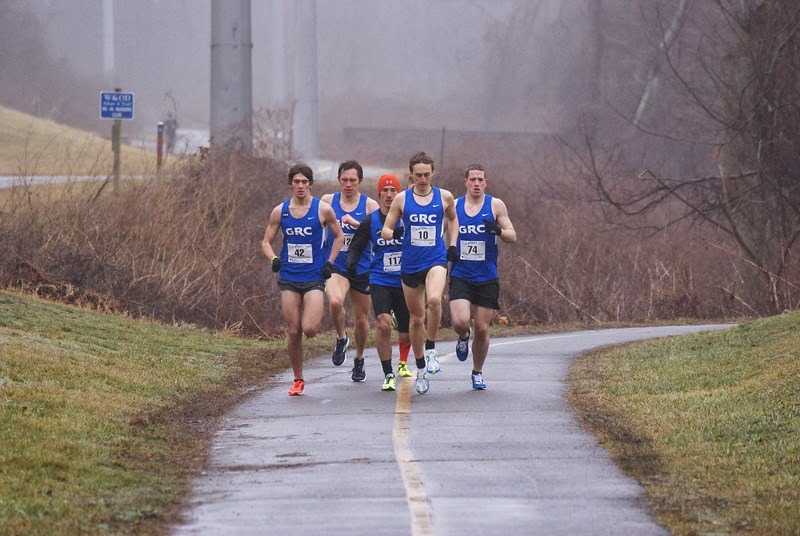 Wiggy led the way for four sub-31 finishes, and LDO finished well under 35 minutes and drew blood from one of the team’s friendly rivals for the first time in recent memory. Heading the opposite direction, LTO and Chaz fared far worse at the GW Parkway Classic. In a herculean effort, Beth finished second at the Eugene Marathon, running 2:49:30. She accomplished this despite not stopping to eat a hot dog this time. Kerry followed in 2:59:24. 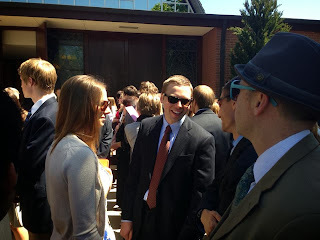 Outlaw set his sights on Liz soon after he moved to DC in 2010, and his pursuit culminated in an early-May wedding in New Jersey. In Maryland, Jimmy Daly took his new wife, Kelly, for a spin on the dance floor, glad he wasn’t the one spinning. 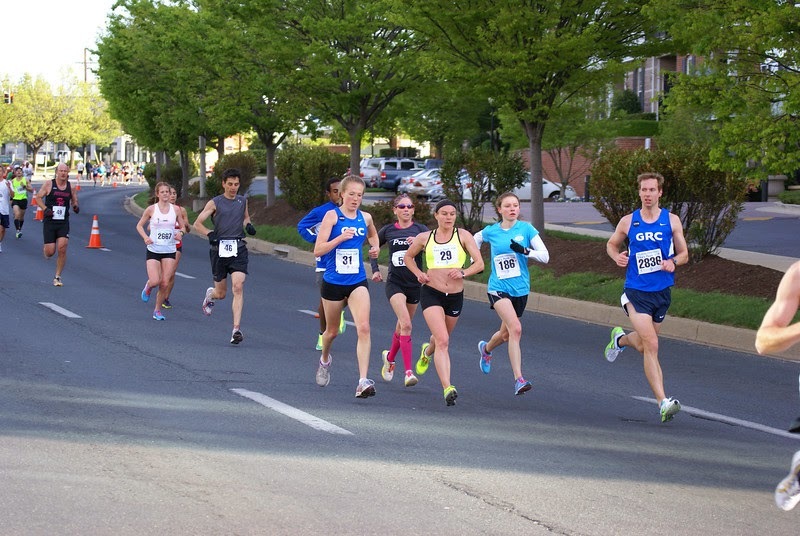 LDO continued a powerful spring with a PR at the Broad Street Run, breaking the only long-standing team record this year. If it hadn’t worked, it would have been a really stupid move. 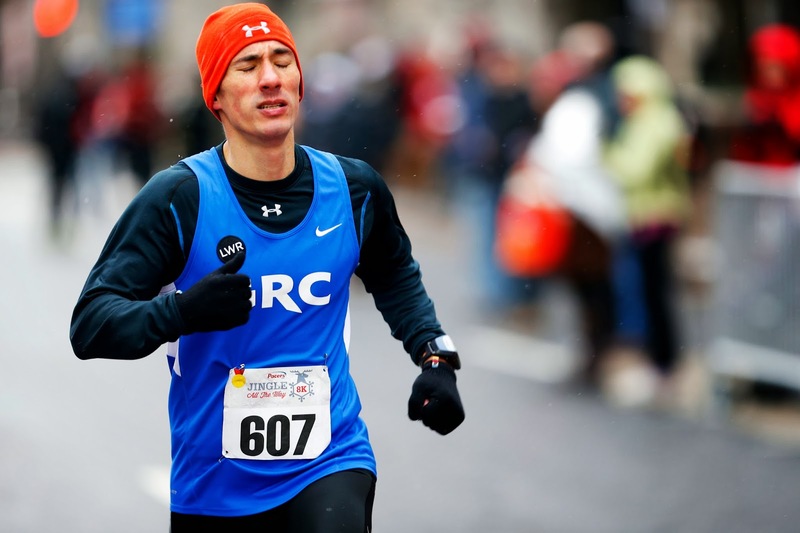 Kenny Rayner ran the Lincoln Marathon three weeks after Boston and managed a two-minute PR. The race served as the National Guard Marathon Trials. He then disappeared. 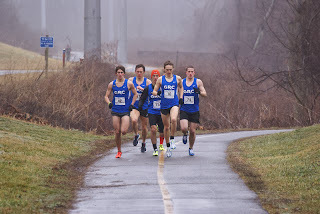 Witty, Wertz, Fridge and Sebi all set big PRs in the 5k at the nomadic southeastern Pennsylvania last chance meet, this year held in swanky Chester. Koonce won the Mercy Health Clinic 5k. Drea left us for Seattle, and her fiance Paul. Murph takes care of business at the Rock ‘n’ Roll San Diego Marathon to ensure his entry in the 2014 Boston Marathon. The most successful Father’s Day 8k dodges a storm and sees 266 finishers. Witty defends his title with ease. Chatty Cathy took a vow of dentistry and moved to Philadelphia. Noodles shipped out to Japan to teach English and ride his elliptigo. After pressuring him for a long time and assuring him we’ll still care as much about him after he joins, Evan Jurkovich finally relents and joins the team. 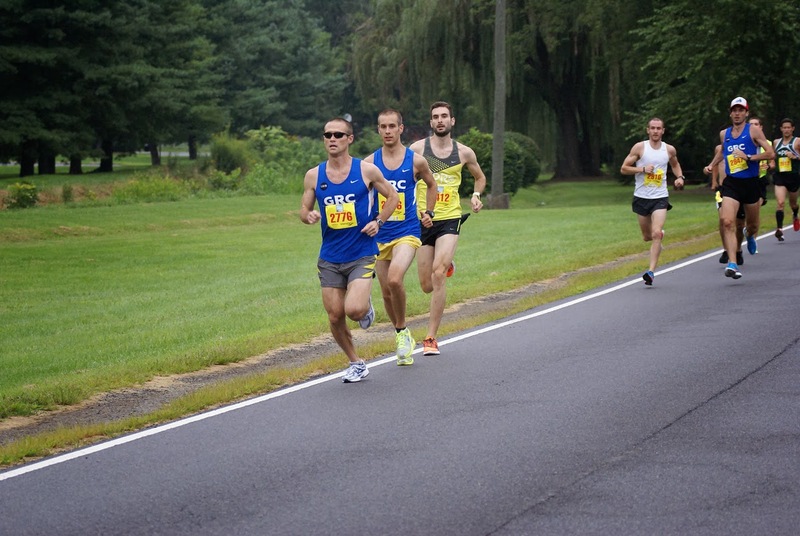 He then teams up with Sean and team debutante Kieran to sweep the Leesburg 20k. Well that was a surprise. 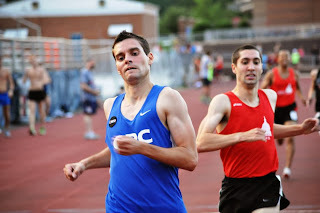 Miler Tom Kelly gives the Annapolis 10 Mile a try and equips himself well, running 57:26. I think this was when Cora Marren was born? 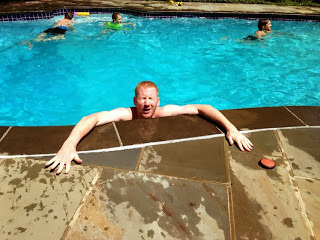 There was a lot of water polo. We welcomed Jack Woodall, Sharon Boyce and their son Nicholas to participate in Lauren’s Run, honoring the memory of our teammate Lauren Woodall Roady and raising money to help maintain her favorite part of the Great Smokey Mountains in Tennessee. 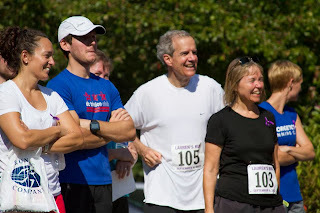 On a course LTO and LDO designed for its proximity to the Meadowbrook Stables, Lauren’s husband Peter demonstrated some of his fitness from his triathlon training and her mother-in-law Celia, who has participated in the Father’s Day 8k, won her age group. The effort yielded more than $10,000 for the Friends of the Great Smokey Mountains and drew together many of her friends, family members and friends of the team who came to support the memory of someone we miss so bitterly and about whom we have told so many sweet stories. We shared sweet, home-baked treats, grew as a team and had a chance to catch up with her and Peter’s relatives. Demonstrating why races have chip timing, the Navy Five Miler started several minutes ahead of the published gun time, leaving several teammates scrambling for the starting mat. Mike “Risky Business” Franklin won the men’s race, and both Hilary and Maura shared the women’s title, Hilary on gun time and Maura on chip time. 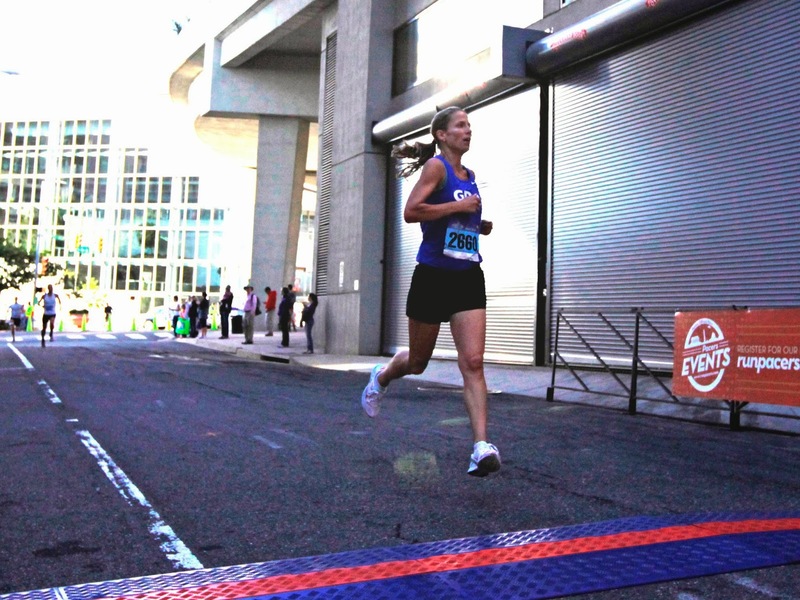 In Philadelphia, Beth Young scooted to a three-minute PR in 1:18:36. Catherine rejoined the team for one last race. 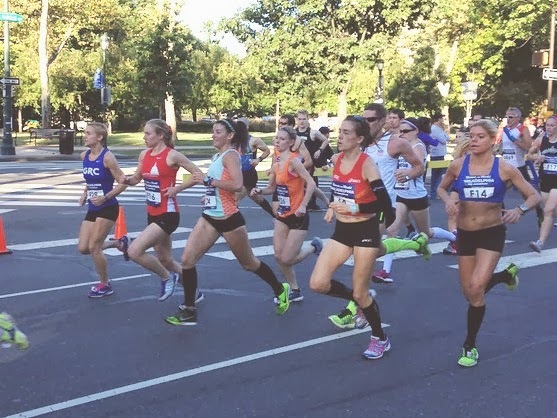 Kristie Nunez returned after an almost-two-year injury/pregnancy layoff to run a strong Clarendon Day 5k. Breezy wins the DC Road Runners National Capital 20 Miler….easily. 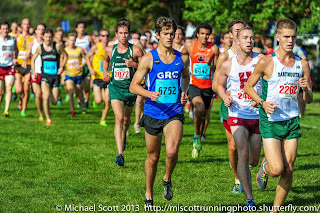 On a hot weekend, Franklin led a top-three sweep at the George Mason Invitational, Oregon Paul led the way at Paul Short, and Charlie defended his title at the Great Allegany Run 15k in Cumberland. 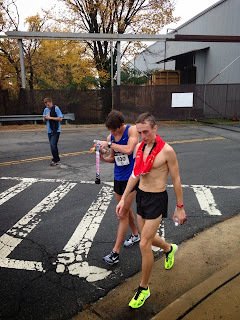 In cooler environs, Evan ran a PR (2:30:42) at the Twin Cities Marathon, don’t you know? The team did well internationally, with Dutch Paul Zwama debut in the marathon at 2:22:17 in Holland and Nina Bekelmans' lucrative third place finish in a Jordanian 10k. On this continent, Susan won the Boo! 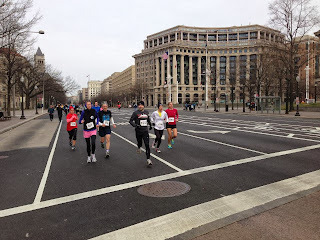 Run for Life 5k (shortened thanks to shutdown contingency), Kristie and Elyse went 1-2 at the Run for Jerry 5k and Matias won the Patent Office’s 5k by more than two-and-a-half minutes…pushing his son in a stroller. For the first time in his life, Joe Wiegner's heart is truly broken as he just barely breaks 40 for a 10k and the Black Hills park race. 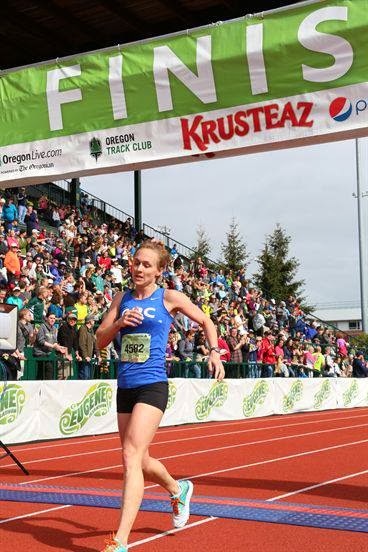 Michelle Miller makes a quiet return to running and almost beats Joey. Aunt Drea married Uncle Paul. The women win the team title at the Army 10 Miler, with Beth and LDO setting the standard for the team in the 59:40s. After two years of searching the high seas, Jerry finally found his blond whale- Luke Meyer finally got a job here and after a rust-buster, showed what he was capable of with a few weeks of hard training under his belt, running 50:23 for 15th place. Kieran and Maura provided the warmup act with victories at the St. Rita 5k. Jimmy Daly moved to Arizona, his defection crippling an already-weak North Bethesda Distance Project. 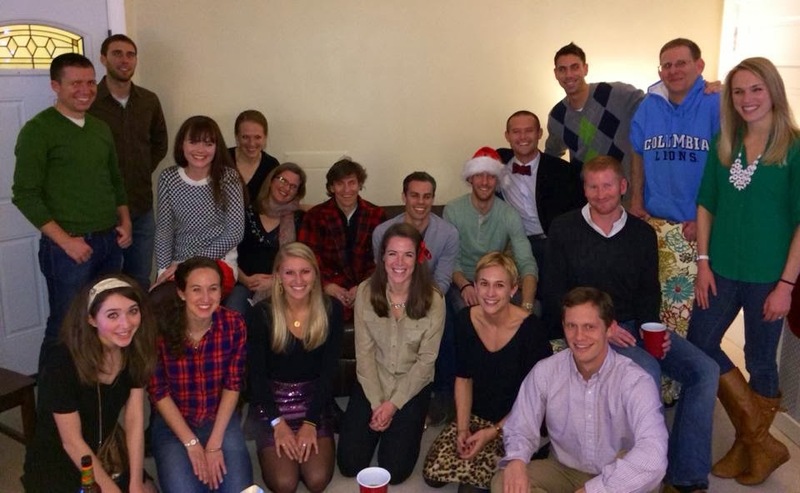 Meanwhile, the Capitol Hill Distance Project is able to regain a once-again-healthy Kate Dart. Mike Franklin continues his winning streak, intact only because he missed the Army Ten-Miler packet pickup, at the Run for the Parks 10k on a breezy day on Hains Point. David Roche wins the Murat Kayali award for shortest GRC career, running this race before tearing his labrum. In what has become an annual rite of fall, though usually earlier, Witty breaks the course record at the Run! Geek! Run! 8k, winning for the third straight year. After a warmup in a downpour, Breezy and Charlie PR at the Richmond Half Marathon. In Alexandria, Luke Meyer finished among the professionals at the USATF 12k Road Racing Championships.Viking showed up and ran really well, too. Breezy took the marathon by the horns at the Cal International Marathon with a huge PR. The faces changed, but the dream remained- top 10. 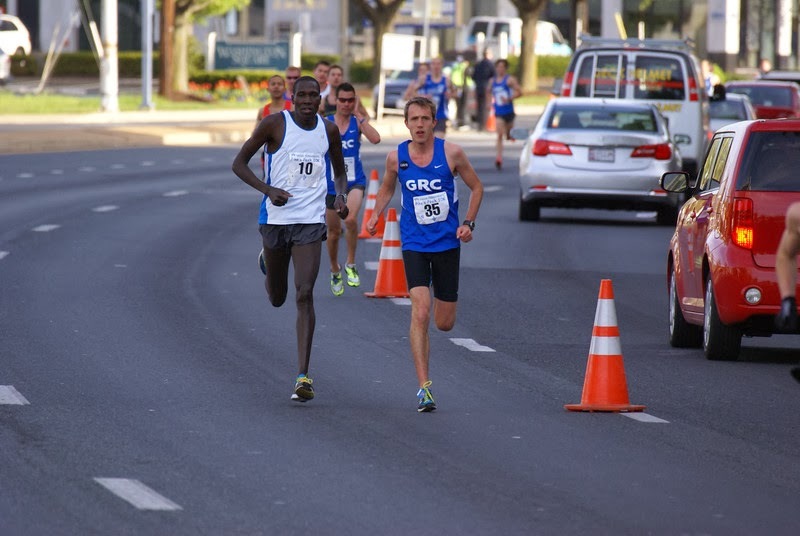 Finally, a strong race by a set of newcomers achieved our goal in Bend, finishing ninth. And Sam like fell or something. 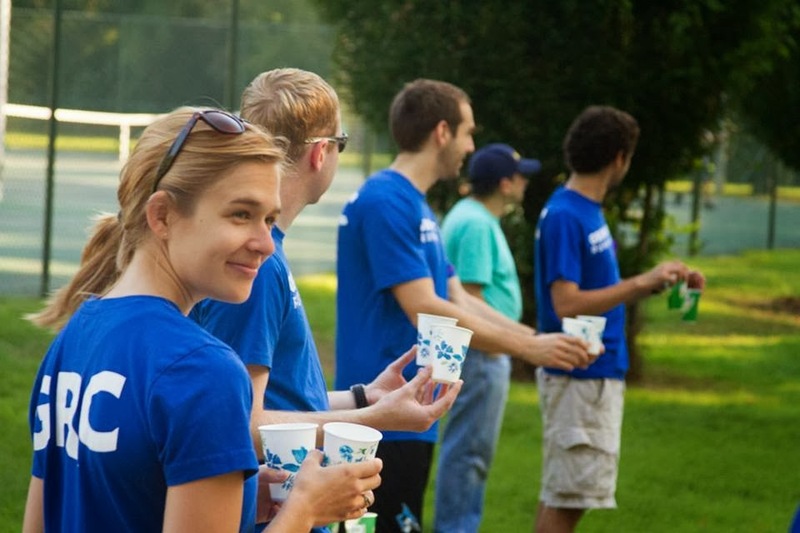 Three years after an embarrassing pair of marathons, Charlie snuck up on one near Charlottesville- the Three Bridges Marathon, staffed by and benefitting the Ragged Mountain Racing Team. Dirk de Heer and his wife Brooke welcomed their daughter Lila. Dirk assured Brooke that childbirth would be a breeze in Holland. Instead, Lila was born at altitude. 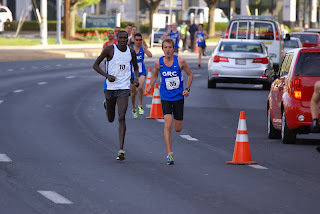 Sean finished up the year with a win at the Bumble Bee 5k in San Diego. Along with the wins and achievements, we suffered some losses, too. Alex Benway, Jimmy Daly, Stefan Kolata, Drea Garvue and Catherine Campbell departed, and Nina Brekelmans went off to Egypt, then Jordan. We also had a huge year recruiting-wise, bringing in Erik Anderson, Sebi Devlin-Folz, Mike (Risky Business) Franklin, Evan Jurkovich, James Frick, Tom (The Taxman) Kelly, Kevin (Johnny Running) McNab, Luke (the Blond Whale) Meyer, Kieran (Rube) O'Connor, Dave Roche and Justin Snair. 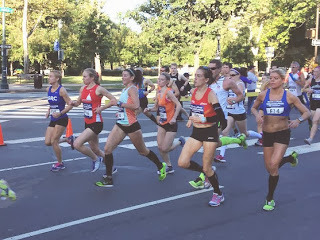 On the women's side, we gained Kerry Allen, Julie Tarallo, Mary Grace Pellegrini, Heather Jelen, Breanna Deutsch, Tina Morrison and Emily Young. 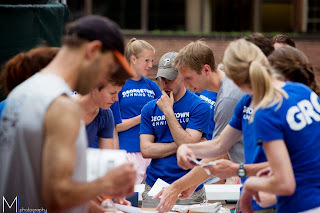 With a fertile track season, an emotionally-charged Boston Marathon and cutthroat-competitive Have a Heart for Boston-Hoffman Elementary School 5k, the spring season is looking to be a great opportunity for everyone on the team to show of what we can do, running-wise. Off the track, we have the looming birth of (Anything but) Scarlett O'Hara to look forward to. Our new leadership team of President Sam Luff, Vice President Lindsay O'Brien, Secretary Patrick Murphy, Men's Director Sebi Devlin-Folz and Women's Director Maura Carroll is ready to place the organization in a position to excel, leaving it up to each of us to carry last year's momentum and follow it up with a better 2014. People are taking notice of what we're doing and how we're conducting ourselves in every race we enter and they are efforts we can be proud of. Thanks for mentioning Cora's birth in your end of year recap. She was certainly the only notable achievement of my year. It warms the deepest cockles of my shriveled, black, lawyer heart to be recognized as relevant to the GRC's year in review.